This entry was posted on June 5, 2013. Bookmark the permalink. 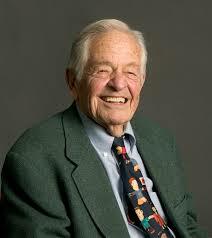 T. Berry Brazelton, world renowned advocate for children, newspaper columnist, TV host and author, recently turned 95 years young. His dynamic career not only expanded our knowledge of infant and child development, but also changed the way we approach parenting. His Columbia University alumni profile describes him as “America’s most celebrated and influential baby doctor since Benjamin Spock.” Since 1988, he has been Clinical Professor of Pediatrics Emeritus at Harvard Medical School. His books include Touchpoints: Birth to Three, Touchpoints: Three to Six, and a series of books called The Brazelton Way, which addresses various topics including discipline, potty training, managing aggression, and much more. Reflecting on his life and experiences, he writes about his own upbringing and development in his new book, Learning to Listen: A Life Caring for Children. From a man who has dedicated his life to caring for, listening to, and loving children, we will likely learn a great deal about the boy behind the man.